There are no two ways about it, clinic is long and hard. This young man was one of the last patients to be seen but he couldn’t take the delay any longer without a nap. 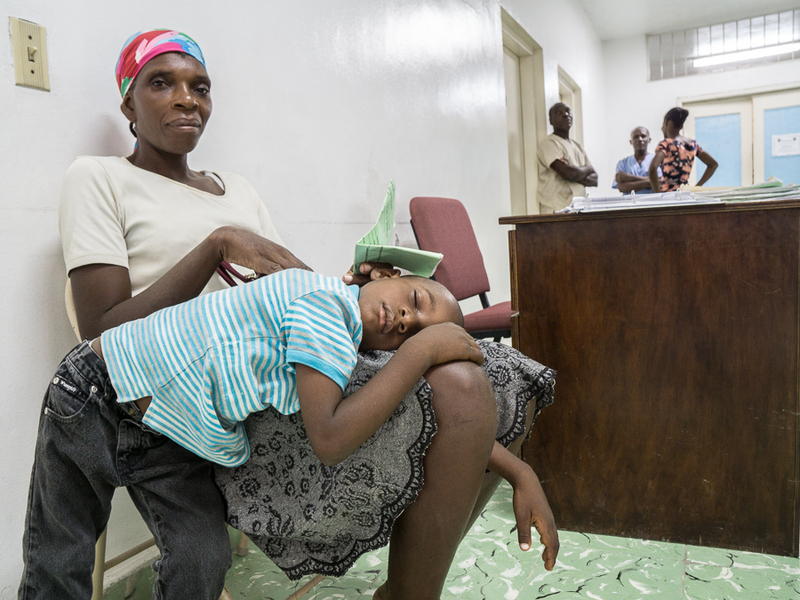 Haitian patients rarely complain about the wait, they are some of the most longsuffering souls on the planet. 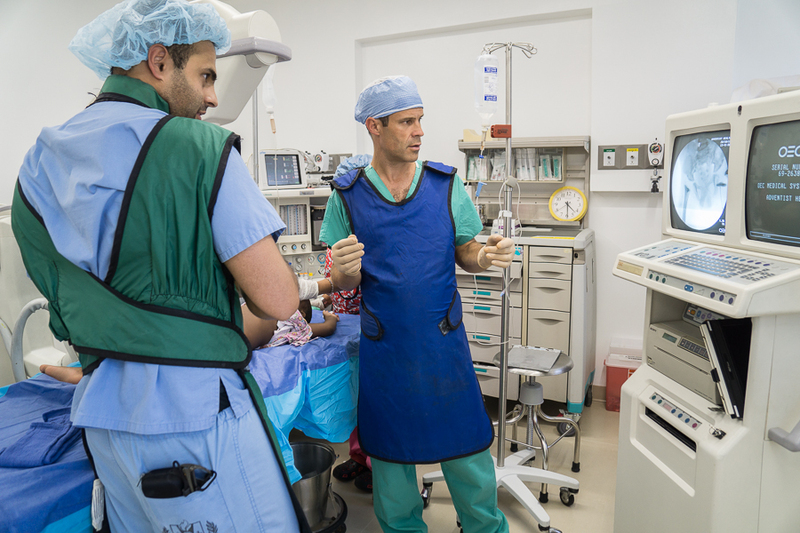 One of the inefficiencies in the clinic is that we typically sort through a group of patients, order their xrays then go view the images en masse on a digital machine apart from the clinic area. We discuss the patients and frequently formulate a treatment plan in that room then go back to the clinic to present options to the patient and/or family. 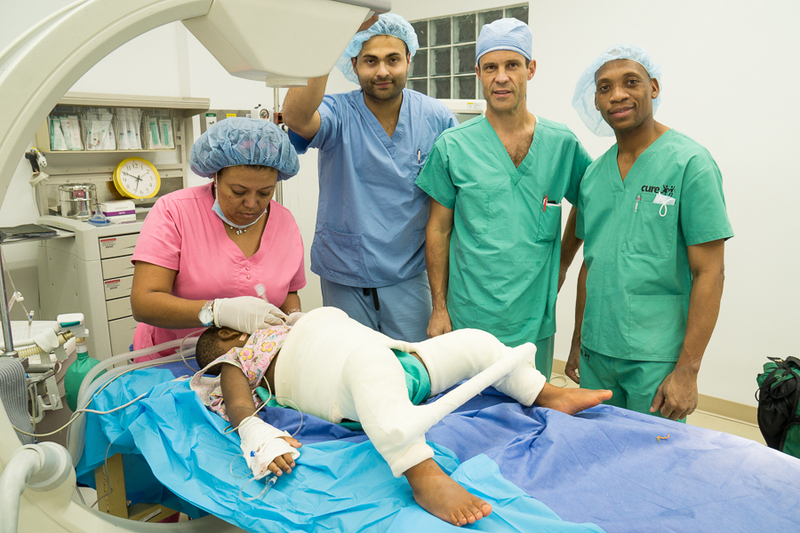 Today also happened to be clubfoot cast change day at HAH. 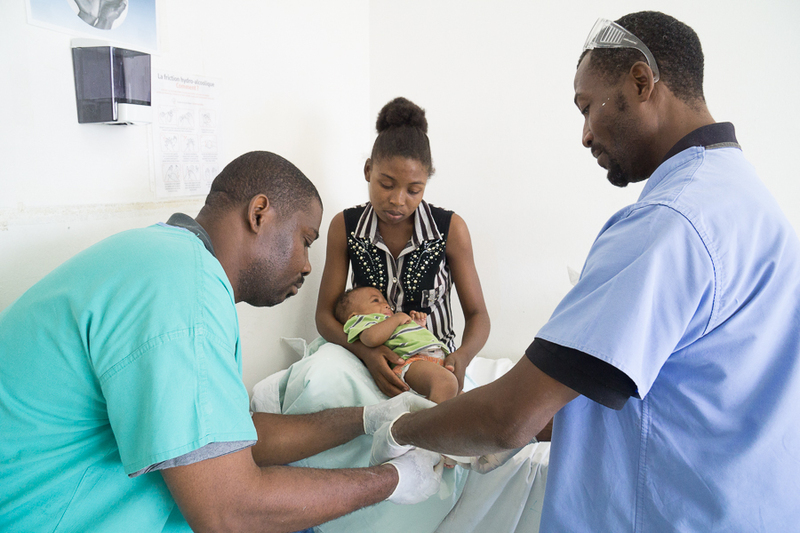 There are a couple of well-trained cast technicians who are very skilled in the Ponsetti technique for conservative clubfoot management. 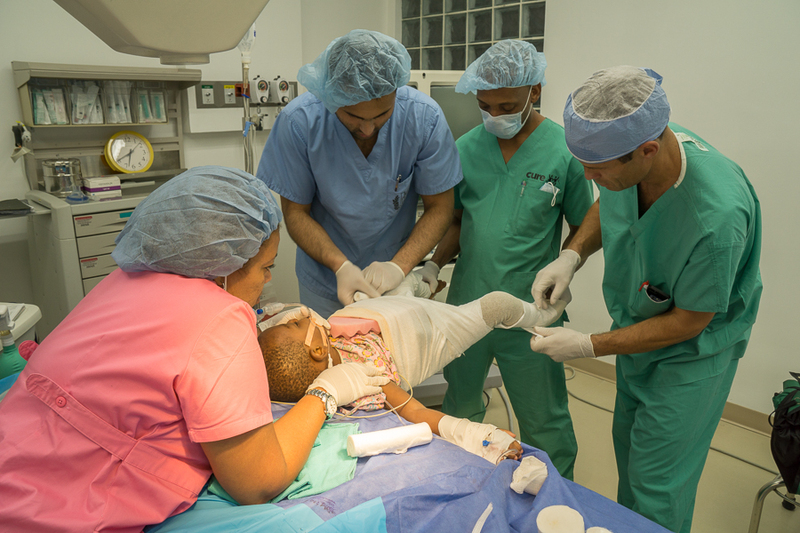 At the end of clinic we had 3 cases scheduled which we were anticipating as we had never operated in the new theater before. 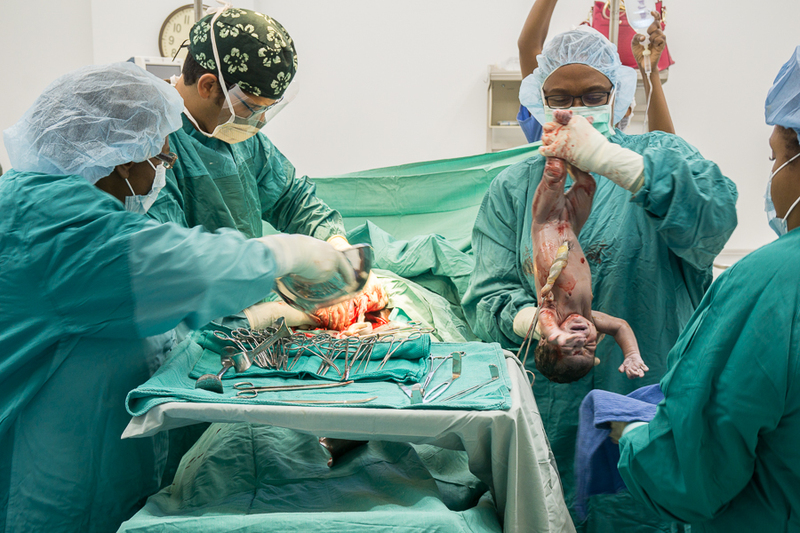 The first was a 3 y/o with bilateral hip dysplasia. 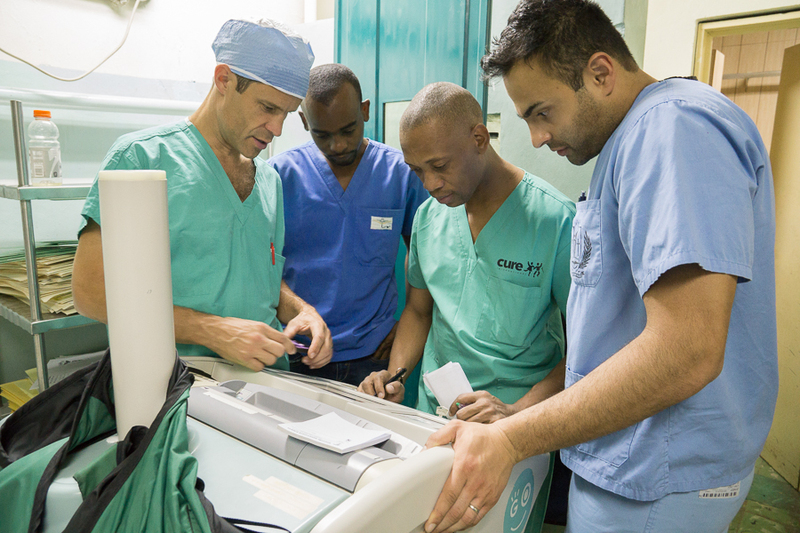 Here Scott (R) and Saif (L) are viewing images on the C-arm monitor after performing bilateral hip arthograms. 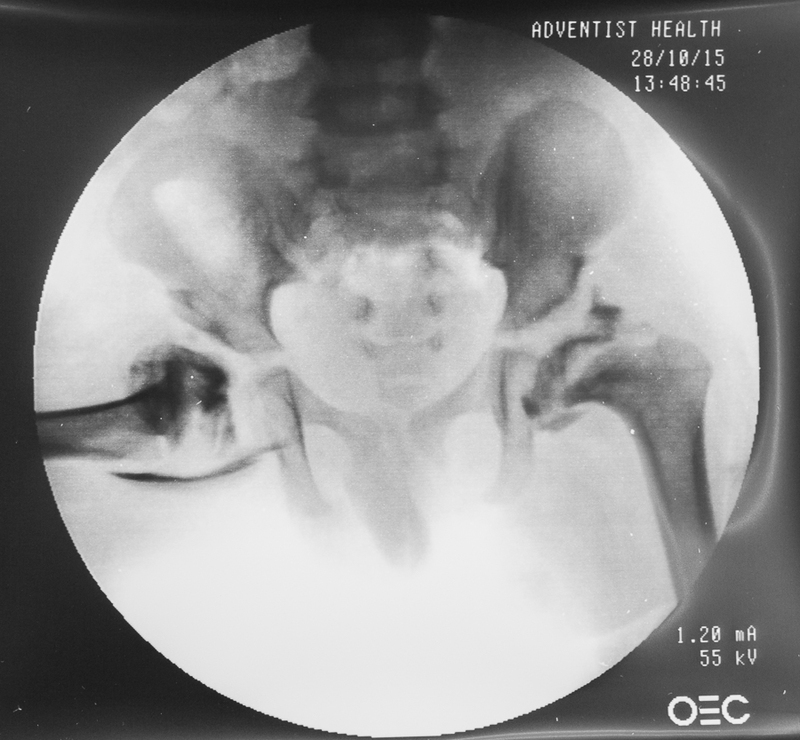 The arthrograms demonstrated that this little boy’s hip sockets were too “vertical” thereby not providing enough coverage for the femoral heads. 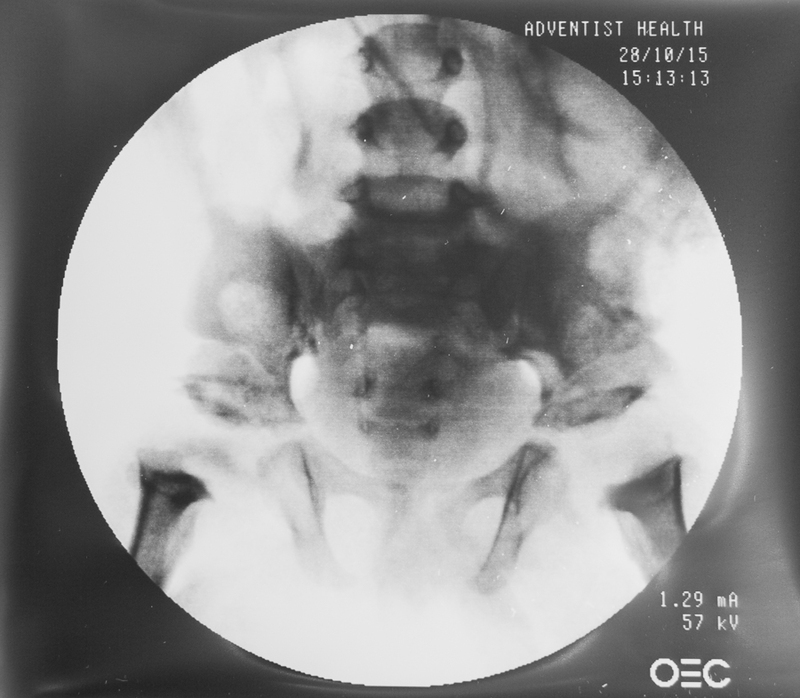 Because of this finding it was elected to proceed with bilateral pelvic osteotomies to correct the deformities. 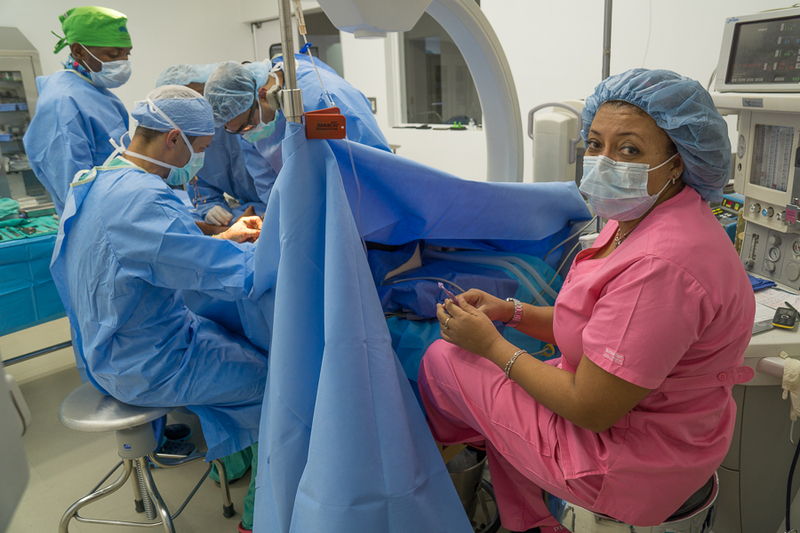 At this point, we must acknowledge Dr Maria Adrian, anesthesiologist extraordinaire who frequently travels from the Dominican Republic to join the team, more about this amazing woman in a post to come. Team photo at the end of the case. 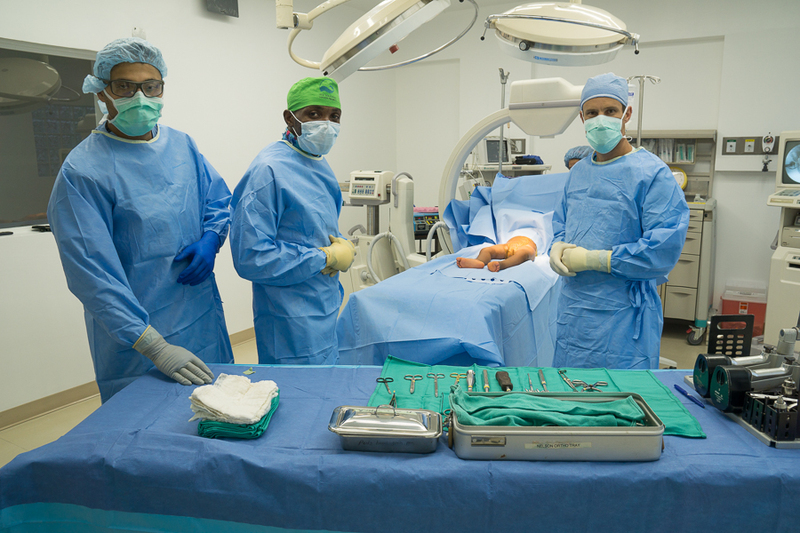 From L to R, Maria Adragon, Saif Zaman, Scott Nelson and Francel Alexis, HAH Chief of Orthopedic Surgery. 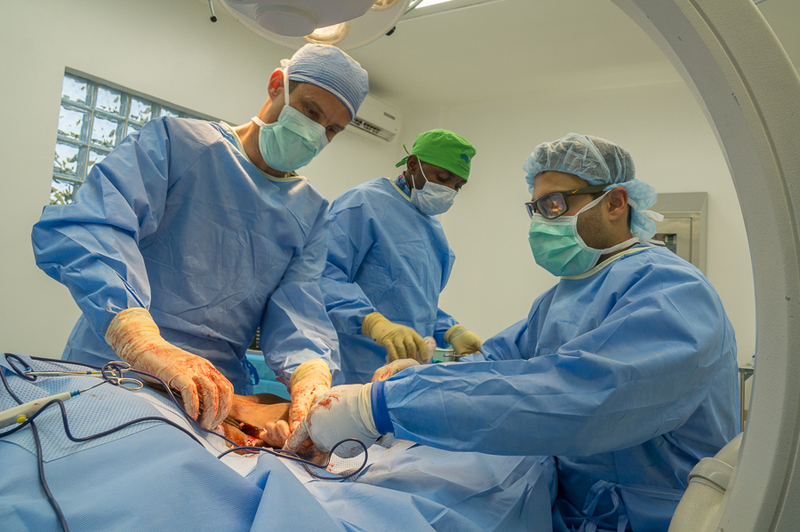 The following two cases, a fracture/dislocation of the foot and a postoperative tibial wound infection, went well and we left the operating theater at around 9pm and went home for dinner. It was a good day.